The Transair advantage avoids the problems encountered with galvanized steel pipe. Transair pipe is constructed in aluminum which prevents corrosion. 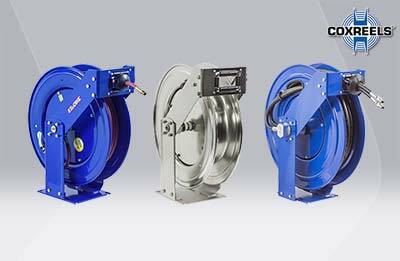 The inner surface of aluminum pipe ensures good and constant quality clean air continuously. 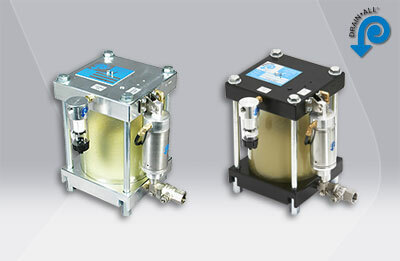 From the compressor to point of use, Transair pipework systems give higher longevity of equipment and avoid frequent changes of filter elements. For renovation projects, Transair pipework systems can be easily connected to copper or steel pipe. They offer higher performance and make it easy to extend an existing network. 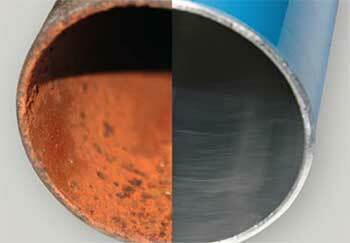 The inner surface of galvanized steel pipe gradually corrodes in contact with water. Corrosion causes the formation of oxide particles and cavities. 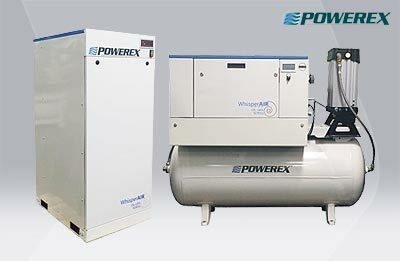 Compressed air is polluted and damages equipment. Deposits accumulate and create roughness, reducing air flow and increasing pressure drops. Moreover corrosion is a source of air leaks: up to 30% of the volume of air may be wasted due to leaks with an old pipework system. Aluminum also has a low friction coefficient, providing the best possible laminar flow. Full-bore fittings further minimize pressure drop for optimum flow and energy efficiency. Leak-free connectors prevent air loss and wasted energy. Your compressed air distribution piping is your means for transporting compressed air and represents your link between supply, storage, and demand. 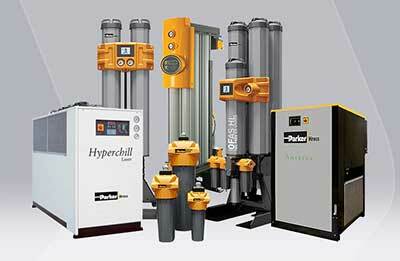 Furthermore, compressed air represents one of the largest opportunities for immediate energy savings. 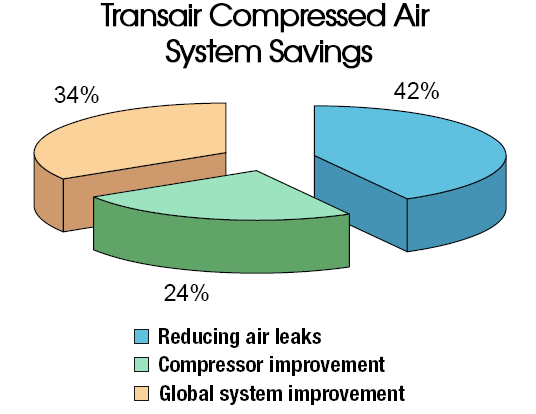 A properly designed Transair compressed air system typically saves a plant 20% to 50% of its electric bill, sometimes even up to 60% within 24 months. Labor accounts for only 20% of installation costs, compared to the 50-80% of such costs associated with traditional steel or black iron compressed air piping. While traditional products often corrode and degrade over time, Transair aluminum piping consistently provides clean, quality air though its leak-free, corrosion-resistant design, ensuring longevity of the equipment. 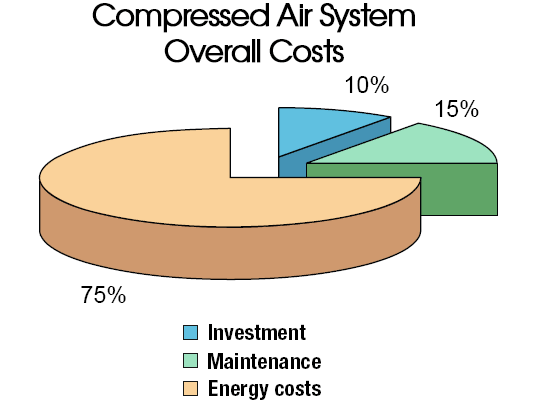 Compressed air represents 10% of industrial energy costs. Thus, optimizing and controlling its production and use is an opportunity to make immediate energy savings. After a ten-year period, the cost of energy consumed exceeds the initial cost of equipment and installation. Improving a pipework system gives potential cost savings of 34%.